Our philosophy is to provide high quality flooring products and installations at an affordable rate.Our reputation has preceded us, continuously landing us contracts both large and small. EMW Carpets & Furniture is located in Denver, Colorado & has served the community for over 80 years. If you are thinking of replacing your floors, carpet, or need new furniture, stop by EMW! We are a small family owned and operated business. We strive for high quality on every job no matter small or big. 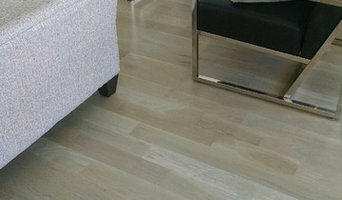 PSI Wood Floors stands for Professional Sanders and Installers, the name says it all. We are a company with integrity and provide high quality service on every job. for already a decade in the hardwood flooring business we have been successful on building a great reputation thanks to the great customers who decide to choose us for their flooring projects. 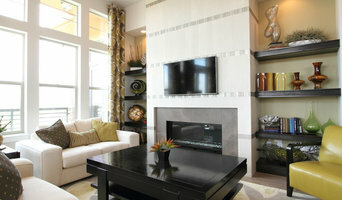 Our Goal is to make every customer happy and of course making their home look beautiful, with a hassle free experience. you can't go wrong by choosing us, this is the company to go with if you are looking for professional results on your next hardwood floor project. 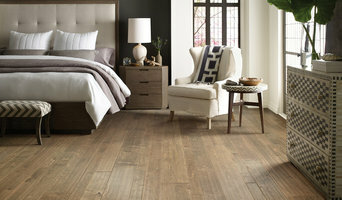 MacDonald Hardwoods is Denver's leading independent hardwood flooring specialist. Locally owned and operated since 1986. Francois and Co. offers carefully crafted architectural pieces and surfaces that reflect our commitment to the principles of authenticity, ingenuity and scrupulous attention to detail. Boulder County's locally owned and operated flooring source serving residential and commercial clients in need of new, traditional and eco-friendly products. Established in 1984, our 6,000 sq.ft. showroom displays all name brand wool and natural fiber carpets, floor and wall tile, recycled glass and natural stone, Marmoleum, hardwood, cork, bamboo, luxury vinyl, low and No-VOC pads, handmade area rugs, area rug pads ... and more! We are an Abbey dealer representing Shaw, Mohawk and Beaulieu. We have the largest selection of flooring materials in our inventory and offer installation on the majority of our products. Contact us today! At Wood Wise Hardwood Flooring, we will embrace your vision and craft a custom hardwood floor that will complement your unique style and sophistication. The possibilities are indeed endless and our experienced artisans will listen carefully and work with you to determine the right wood species, color and finish that will bring your vision to life. It is our mission to provide you with a custom, beautiful, and warm hardwood floor that will live to be refinished for many generations to come. We stay tightly to schedule, while still taking all the right steps to ensure quality and longevity. Our finishes meet the most stringent environmental standards for volatile organic compounds (VOCs), and their abrasion resistance is the best available on the market. Our waste from projects is reclaimed, recycled or given away for small projects whenever possible. We honor all manufacturers warranties, and install and finish according to National Oak Floor Manufacturers Association (NOFMA) specs. Paradigm Interiors is a down-to-earth, locally owned business with an impressive collection of the latest trends in flooring available to homeowners and local businesses. Looking to remodel, refurbish or redecorate? Front Range Interiors offers a diverse selection of high-quality tile, laminate flooring, wood flooring, counter tops, carpets and window treatments. Our friendly, knowledgeable staff makes it easy to find a creative solution for your price range and space. We provide certified installers and a dedicated design team to help your vision come to life. Visit our showroom in Greeley today and learn what makes Front Range Interiors top-notch in Northern Colorado. 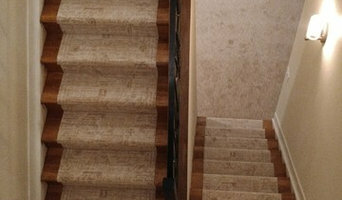 Davis Flooring proudly serves the Evans, CO area with a complete range of flooring services. No job is too big or too small. Our highly-trained professionals have been hand-picked from among the best in the industry, trained to provide you with the solutions you need as well as the quality you deserve. The Davis Flooring team is continuously striving to offer the best to our customers, something you will quickly realize when you choose us. We stand behind our work, delivering the perfect flooring solution for your home. Whether you need removal of old floors or ceramic tile installation, we’re here to help. All you need to do is give us a call and we’ll take care of the rest. In the meantime, feel free to take a look around our site to learn more about our services. If you have any questions or concerns, please don’t hesitate to contact us at any time. We look forward to working with you. Our showroom hardwood selection represents quality, innovation and design for the discerning customer. Sleek, modern, classic or aged; Our incomparable engineered hardwood selection offers interior solutions for every taste, style and wish. Please note: Every hardwood color in our projects is available and is ready to ship.